Arrival at Rome Airport and Private Transfer to Cortona. Your English speaking driver will meet you at Rome airport and he will transfer you to your hotel in Cortona. Nestled amidst the rolling hills of Tuscany, bordering Umbria near Cortona, Hotel La Corte dei Papi, a prestigious 4 star relais, welcomes guests within the heart of Tuscany's countryside in refined elegance. 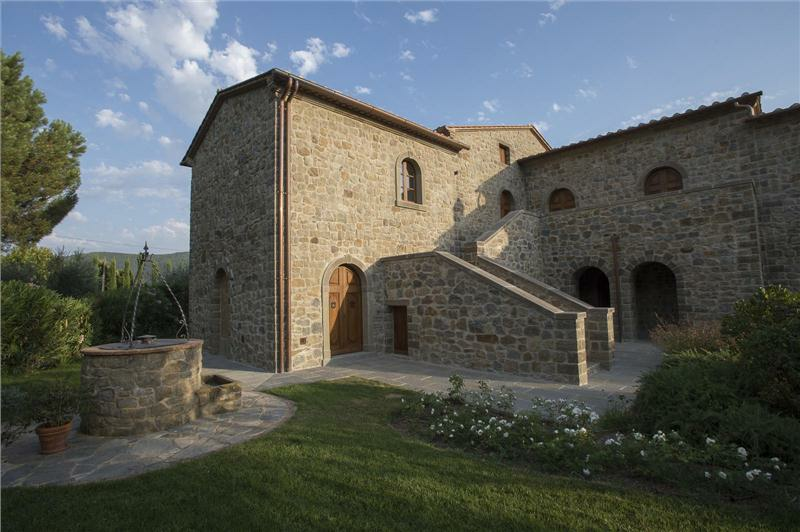 The antique countryside villa has once again turned to its hospitality tradition thanks to the skilled restoration effort that renewed it to its original form. 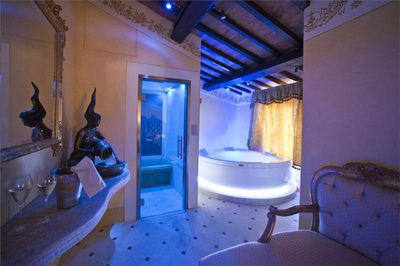 La Corte dei Papi now welcomes guests in to a luxurious atmosphere of charm. The setting that houses Hotel La Corte dei Papi was once an 18th century historic dwelling that was restored to enhance the building's original beauty and enrich it with all the modern comforts. The skilled restoration, conducted with utmost respect of its original form, was accomplished by reusing the existing antique materials, or utilizing similar ones obtained after a careful search of the nearby areas, was able to infuse superior elegance and charm into Corte dei Papi to ultimately create a hotel that boasts a passion for fine dining and hospitality. The garden, with a swimming pool and gazebo, gracefully outlines the hotel and makes it one of the most sought after relais and hotels in Cortona and Tuscany by travelers who seek tranquility, relaxation, and charm. Hotel relais La Corte dei Papi, offers 8 different accommodation options from its rooms, junior suites and suites. Romantic, with all of the best modern comforts compared to those offered by the 4 star hotels of Cortona and Tuscany, is the result of the Papi family's passion for hospitality which led them to personality orchestrate the finest details, decorations and charm of each guestroom. The restoration of the antique period dwelling and surrounding land placed special care in maintaining the original decorative elements, terracotta floors, exposed beams of the vaulted ceilings, while enriching the rooms with all the modern comforts. Each room's decor includes antique furnishings and luxury detailing. Upon arrival, guests are welcomed with a fruit welcome basket. La Corte dei Papi is located 6 kms from Cortona, within the heart of the rolling hills of Tuscany that border Umbria. 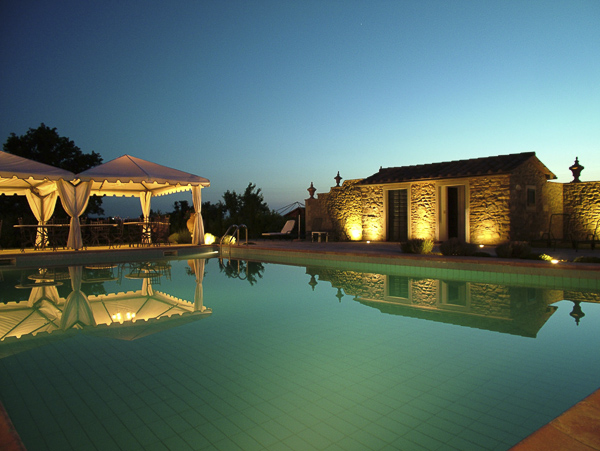 It's the ideal location for those who wish to enjoy a vacation within a peaceful setting, surrounded by nature, near small villages, 'cities of art' and breathtaking landscapes made of luxuriant hills, grapevines and olive trees. Within a few minutes of the hotel you will be in Cortona (where Under the Tuscan Sun was partly shot) a small town of ancient origins that has managed to preserve its appeal as an antique medieval village. Resting on a hill that dominates over Valdichiana, surrounded by ancient Etruscan walls, Cortona is enjoyed best by foot; taking a pleasant stroll amidst small lanes that maintain the authenticity of a long ago. One must see the piazza and Municipal Palace, Cathedral and Diocesan Museum which preserves masterpieces by Beato Angelico and Luca Signorelli, as well as the Santa Margherita Basilica and the Francescano delle Celle Sanctuary on the outskirts of Cortona. Wonderful suites for your wellness with private Spa for 2 people with a Turkish bath provided with 4 mufti-sensory showers with aromatherapy, chromotherapy and music therapy, with the chance of choosing 4 different sensory paths and a big Jacuzzi for 2 people, and a relax corner with a sitting room. Suites are at the ground floor with a private garden. They are wide and comfortable, about 65 square meters each. You will meet your English speaking driver at the hotel in Cortona and he will drive you to Orvieto. Here you will meet your English speaking guide for a private tour of the centre. The Paglia and Tiber rivers have spent eons washing away most of the volcanic layer of porous tufa that once covered the area around Orvieto. But they left a plug of it jutting some 315m (1,033 ft.) above the plain, and its sheer walls are so defensible humans have been scurrying about atop it for thousands of years. The Etruscans probably called the city they inherited from Bronze and Iron Age tribes here Velzna (some scholars render it Volsinii), a major player in the Etruscan confederation of 12 cities and perhaps its religious center. It was a close enough threat to the Romans that they attacked and leveled it in 265 B.C., driving the Etruscans to settle on the shores of nearby Lake Bolsena. The Romans built a port on the Tiber to ship home a steady supply of the famous wine produced in the area -- still much in demand today as Orvieto Classico, one of Italy's finest whites. As a medieval commune, the city expanded its empire in all directions until the Black Death decimated the population in the 14th century. 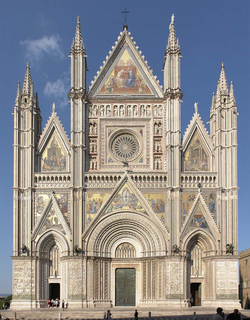 Soon after, Orvieto became part of the Papal States and a home away from home to some 32 popes. The city seems not so much to rise as to grow out of the flat top of its butte. The buildings are made from blocks of the same tufa on which Orvieto rests, giving the disquieting feeling that the town evolved here of its own volition. A taciturn, solemn, almost cold feeling emanates from its stony walls, and the streets nearly always turn at right angles, confounding your senses of direction and navigation. It's as if, somehow, Orvieto resents the humans who have overrun it. Of course, a goodly dose of wine with lunch can make the whole place seem very friendly indeed, and the stoniness is greatly relieved by the massive Duomo rising head and shoulders above the rest of the town, its glittering mosaic facade visible for miles around. 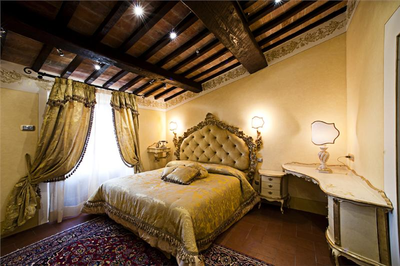 After your guided tour and some free time you will return to Relais La Corte dei Papi. You will meet your English speaking driver at the hotel in Cortona and he will drive you to Siena, where you will meet your English speaking guide for a private tour of the center. With its narrow streets and steep alleys, a stunning Gothic Duomo, a bounty of early Renaissance art, and the glorious Palazzo Pubblico overlooking its magnificent Campo, Siena is often described as Italy's best-preserved medieval city. Victory over Florence in 1260 at Montaperti marked the beginning of Siena’s golden age. During the following decades Siena erected its greatest buildings (including the Duomo); established a model city government presided over by the Council of Nine; and became a great art, textile, and trade center. Siena succumbed to Florentine rule in the mid-16th century, when a yearlong siege virtually eliminated the native population. Ironically, it was precisely this decline that, along with the steadfast pride of the Sienese, prevented further development, to which we owe the city's marvelous medieval condition today. Although much looks as it did in the early 14th century, Siena is no museum. 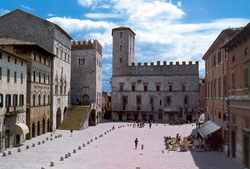 Walk through the streets and you can see that the medieval contrade, 17 neighborhoods into which the city has been historically divided, are a vibrant part of modern life. You may see symbols of the contrada—Tartuca (turtle), Oca (goose), Istrice (porcupine), Torre (tower)—emblazoned on banners and engraved on building walls. The Sienese still strongly identify with the contrada where they were born and raised; loyalty and rivalry run deep. At no time is this more visible than during the centuries-old Palio, a twice-yearly horse race held in the Piazza del Campo, but you need not visit during the wild festival to come to know the rich culture and enchanting pleasures of Siena; those are evident at every step. After some free time for lunch you will continue to San Gimignano. When you're on a hilltop surrounded by soaring medieval towers silhouetted against the sky, it's difficult not to fall under the spell of San Gimignano. Its tall walls and narrow streets are typical of Tuscan hill towns, but it's the medieval "skyscrapers" that set the town apart from its neighbors. Today 14 towers remain, but at the height of the Guelph-Ghibelline conflict there was a forest of more than 70, and it was possible to cross the town by rooftop rather than by road. The towers were built partly for defensive purposes—they were a safe refuge and useful for pouring boiling oil on attacking enemies—and partly for bolstering the egos of their owners, who competed with deadly seriousness to build the highest tower in town. Today San Gimignano isn't much more than a gentrified walled city, touristy but still very much worth exploring because, despite the profusion of cheesy souvenir shops lining the main drag, there's some serious Renaissance art to be seen here. 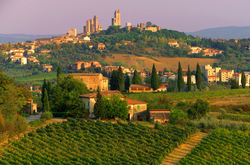 Tour groups arrive early and clog the wine-tasting rooms—San Gimignano is famous for its light white Vernaccia—and art galleries for much of the day, but most sights stay open through late afternoon, when all the tour groups have long since departed. You will meet your English speaking driver at your hotel. He will first drive you to Montepulciano where you will have some free time to wander around on your own. 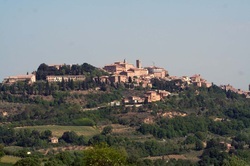 Montepulciano is built along a narrow limestone ridge at 605 m above sea level. The town is encircled by walls and fortifications dating back to the 16th century. Inside the walls the streets are crammed with Renaissance- style palazzi and churches, but the town is chiefly known for its good local "Vino Nobile” and "Rosso” red wines. A long, winding street called the Corso climbs up into the main square, which crowns the summit of the hill. It is the ancient Etruscan city of Nocera Alfaterna, which in 308 B.C. made an alliance with Rome against the Samnites. In the Middle Ages it was under the control of Florence, but was conquered by Siena in 1260. The main street of Montepulciano stretches for 11.5 kilometers from the Porta al Prato to the Piazza Grande at the top of the hill. The façades of the church of Saint Agostino and of the Oratorio della Misericordia are worth seeing. Notable among the civic buildings are the Tarugi palace, like the Mercato, a work of Pignola, the Contucci palace designed by Sangallo and the fourteenth-century Palazzo Municipale, which contains a small gallery of Siennese and of Umbrian art. An incredible scenario is offered to your when getting to see the giant wine caves and the underground passageways that are open to public beneath Montepulciano. The origins of Vino Nobile di Montepulciano are ancient and tightly linked to the history of the town as evidenced by the observation that wineries are integrated into the fabric of the old town centre. A rich cache of documents and articles relating to the flourishing history of the town is kept in the Politian Archives and shows that as far back as 1350 the terms and conditions governing trade and the exportation of wines from Montepulciano had already been established. In the second half of of the sixteenth century, Pope Paul III extolled the exceptional qualities of the wine. In his poem "Bacchus in Tuscany", Francesco Redi defined it as the "king of all wines", and in the second half of the eighteenth century the Montepulciano wine was accorded the description of "noble", in recognition of its splendid flavour and the idea that it was fit for the tables of the nobility. The reputation of this wine early spread abroad and it is mentioned by Voltaire in his "Candide". Other early foreign admirers included the American Presidents Martin Van Buren and Thomas Jefferson. 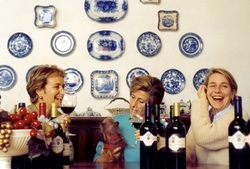 You will then proceed to Villa Sant’Anna Winery for a visit and wine tasting. Afterward you will continue to Pienza. Pienza is a delightful village whose intimate little center was almost completely redesigned in the 15th century by Pope Pius II. Born as Aeneas Sylvius Piccolomini in 1405, when the village was known as Corsignano, he became a leading Humanist scholar and philosopher. Elected pope in 1458, Pius II decided to rebuild his birthplace a year later, renaming it Pienza in his own honour. Pleasant walks and great views can be had from the village walls. The airy Duomo contains six altarpieces commissioned from the leading Siennese painters of the day. Here you will have some free time to wander around on your own. You will meet your English speaking driver at your hotel. 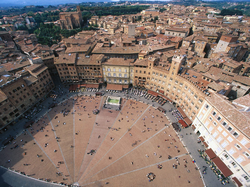 You will depart towards Perugia where you will meet a private local guide for a tour of the center. You will have some free time for lunch and will then continue to Todi where you will wander around on your own. As you stand on Piazza del Popolo, looking out onto the Tiber Valley below, it's easy to see how Todi is often described as Umbria's prettiest hill town. Legend has it that the town was founded by the Umbri, who followed an eagle who had stolen a tablecloth to this lofty perch. They liked it so much that they settled here for good. The eagle is now perched on the insignia of the medieval palaces in the main piazza. You will depart from Relais La Corte dei Papi with your English speaking driver and you will reach your FCO airport hotel. Our drivers are professional and helpful with clients and our cars are always luxury cars. Our English speaking guides have a perfect command of the English language and are carefully selected for their friendly personality. They are all used to work with families and individual clients. If the excursions are confirmed we will be glad to provide a list of fine restaurants where clients can have their meals and eat a la carte. We have a telephone number which is switched on 24 hours and it can be used for any emergency during the stay in Italy. Passenger’s Mobile phone: in order to arrange an efficient and quality transfer service, we kindly ask the passenger’s mobile phone number. Airports, ports and railway stations are crowded and we know from experience that sometimes the client does not see the driver even if a signboard is clearly shown. The only chance for our driver to locate a person is to call on his mobile phone. The quotation is made for transfer during daily hours. For night transfer (from 09.00pm to 07.00am) we will apply an extra charge of 20% on the transfer rate. 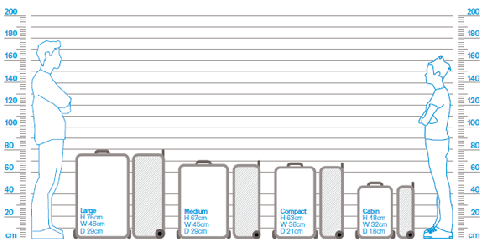 If you have more luggage or bigger pieces of luggage than what communicated at the time of booking to our agency, we will have to change vehicle and apply a surcharge accordingly.